Discover a few useful tips about the Real Alcázar of Seville, so you won’t be caught off-guard while visiting it! 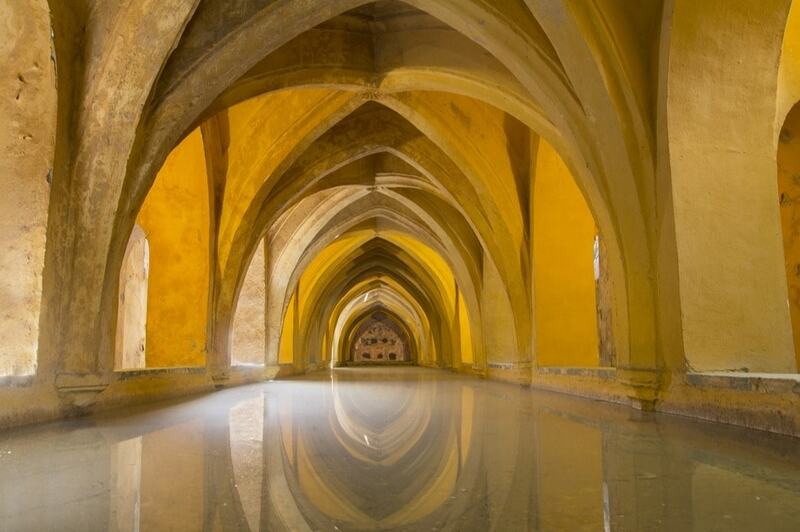 The Real Alcázar of Seville lies facing the city’s majestic Cathedral. You can enter the monument through the Puerta de León, a door located on one side of the Cathedral. The door owes its name to a tile displaying a crowned lion that carries a cross with one paw and is stepping on a flag with the other. The maze of courtyards and gardens that you will find from here on is one of the most noteworthy features of the palace. Take your time to rejoice their beauty and the fusion of the different architectonic styles. 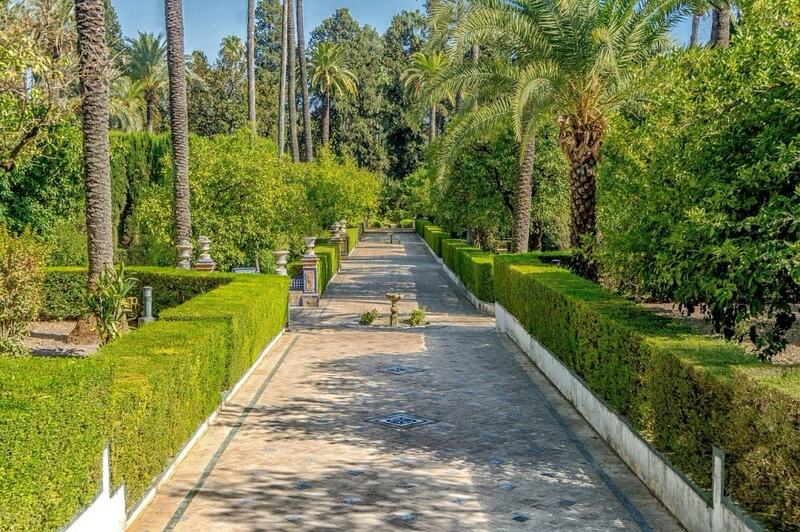 The gardens of the Alcázar are city’s oldest gardens, and they feature ponds and fountains. The most famous and most pictured one is the Jardín de la Danza (the Garden of the Dance), because from here you can access the Baños de María Padilla, an underground chamber with Gothic vaults. The Palacio Mudéjar (also known as Palacio de Pedro I) is the most famous palace in the Real Alcázar. While visiting this palace, don’t miss out on the Patio de las Doncellas (the Courtyard of the Maidens) and the Patio de las Muñecas (the Courtyard of the Dolls). These two patios are characterised by a fusion of the Arab and Mudejar styles, ensuring you’ll feel like you’ve jumped back in time when visiting it. The Salón de Embajadores (Hall of the Ambassadors), with the magnificent 1427 vault, and the Salón de Tapices, which displays a collection of tapestries, are another must-see during your visit. Among the breath-taking halls, you can’t miss out on the Pabellón de Carlos V (pavilion of Charles V), where you will rejoice in a splendid collection of tapestries. And the Real Cuarto Alto is where the Bourbons left their mark, which you can see in the collections of personal objects and the decoration featured here. The construction work of the Real Alcázar started in 913 AD, under the Cordovan caliphate of Abderrahmán III an-Násir. Three centuries later, caliph Al-Mutamid had various palaces added to the original construction. When the Christians conquered the city in the 13th century, King Alfonso X of Castile got the Gothic palace built, whereas, a century later, Peter I had a Mudejar palace added to the already-majestic architecture of the Alcazar, the most famous hall being the Hall of Ambassadors. In 1477, the Catholic Monarchs chose the Alcazar as their residence, and in 1526, the marriage between Charles V and Isabella of Portugal was celebrated in the Hall of Ambassadors (a curiosity: their honeymoon took place in Granada, where the emperor had the Palace of Charles V built inside the Alhambra). The Alcázar became the official residence of the Spanish monarchy in 1823 until 1931 when the palace was claimed by politician Indalecio Prieto to be managed independently by the citizens. The Real Alcázar made it to the World Heritage Site list, together with the Cathedral and the Archive of Indias, in 1987, and it’s been the set of many Hollywood films and countless TV series. 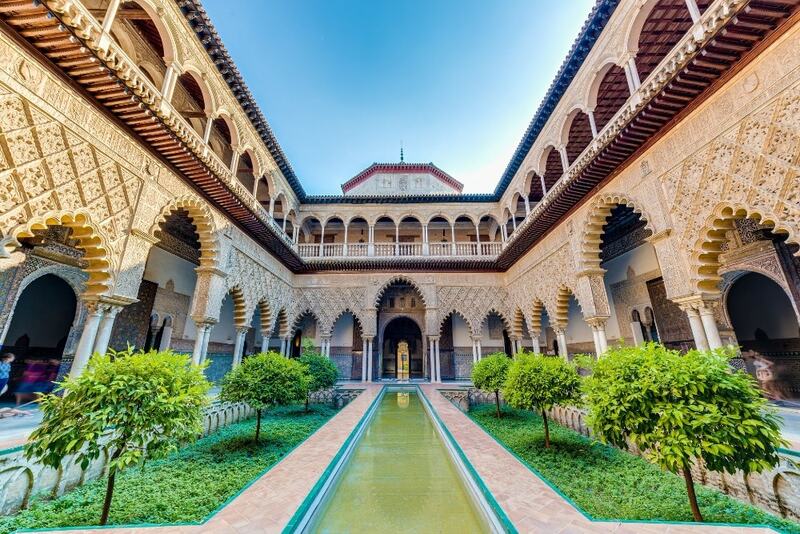 The Real Alcázar of Seville is located in the centre of the city, right next to the Cathedral. It can be reached from the airport (click here to know how to get to Seville from the airport), as well as from the Plaza de Armas bus station and the Santa Justa train station. If you get to Seville by bus, you most probably get off at Plaza de Armas. Here, look for the bus stop of the bus line C4 towards “Puerta de Jerez”. 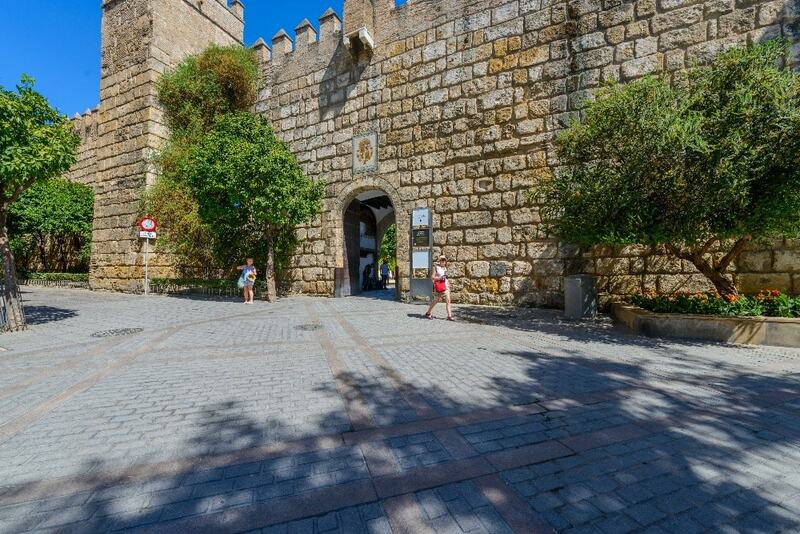 The entrance of the Alcazar is located 300 metres from the bus stop Puerta de Jerez. If you reach the city by train, you can either enjoy a 2-km walk to the Alcazar from the Santa Justa train station or reach the palace by underground. The closest station is “Nervión” located near the stadium Sánchez-Pizjuán. Here, take the line 1 towards “Ciudad Expo” and stop at “Puerta de Jerez”. 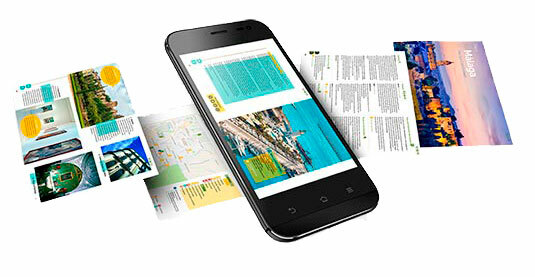 You can book your tickets by clicking here and, by doing so, avoiding long queues. Note that online purchases come with a fee of €1.00 per ticket processing. 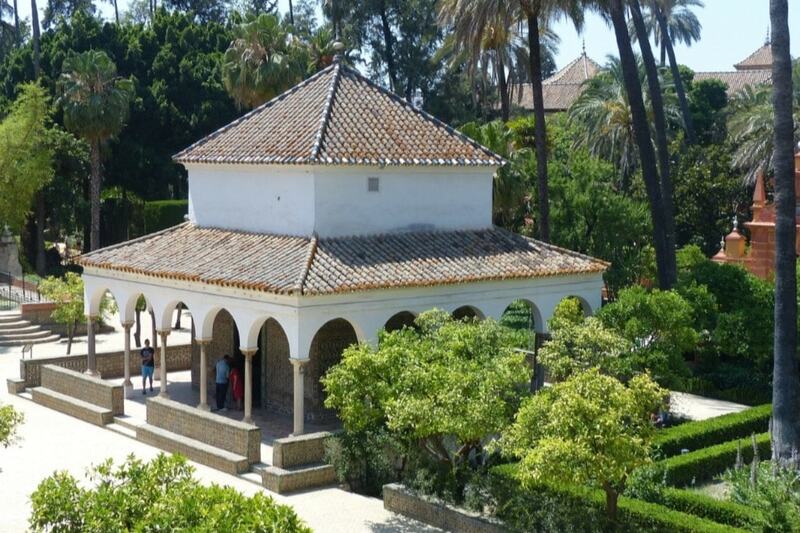 General tour + audioguide: this is the most popular tour, as it allows you to discover the secrets of the first floor of the Real Alcázar and the Gardens. It costs €11.50 + €5 for the audioguide. General tour: the same as the first one, but without the audioguide. It’s the most common to do if you already have some knowledge of the Alcázar. Tickets cost €11.50. General tour + Cuarto Real Alto: this tour offers the possibility to also visit the first floor of the palace of Pedro I. The audioguide is included and the tour costs €21. Night-time visit: at the price of only €14, you’ll have the chance to visit the Real Alcázar by night and enjoy a theatre show displaying historical characters that will reveal the well-kept secrets of the palace. It admits children older than 8 years old. Free on Monday: if you’re in Seville on Monday, there are lots of palaces and monuments you can visit, and the Real Alcázar is no exception. Only remember that you’ll have to book beforehand just like any other tour of the palace. There are countless opportunities to enjoy the city, and the best way to relax is to rent one of the holiday homes in the province. Check them out by clicking on the button below! 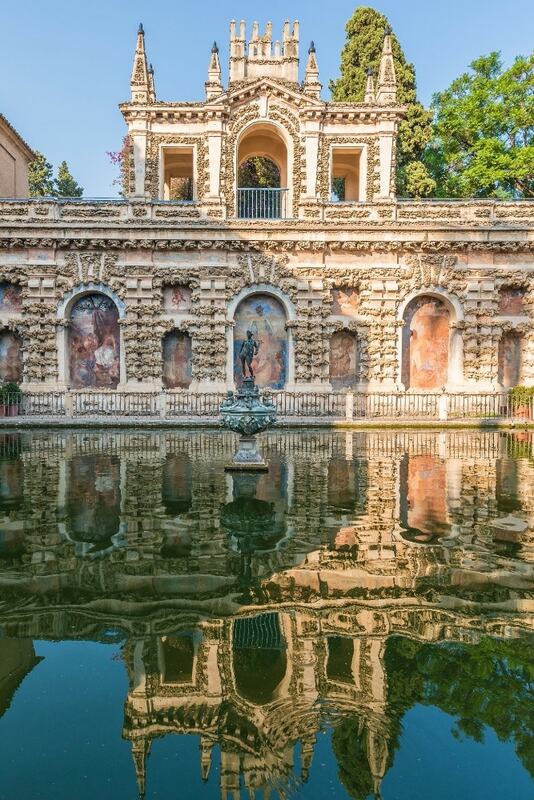 Have you ever visited the Real Alcázar of Seville? Tell us in the comments below!